For all those who love to mess around with their device or port custom ROMs, then having a custom recovery is almost inevitable. A custom recovery replaces the stock recovery and it also performs advance functions which can't be done with the stock recovery such as full backup of your Rom, popularly known as Nandroid Backup, installation of flashable zip, custom roms e.tc. 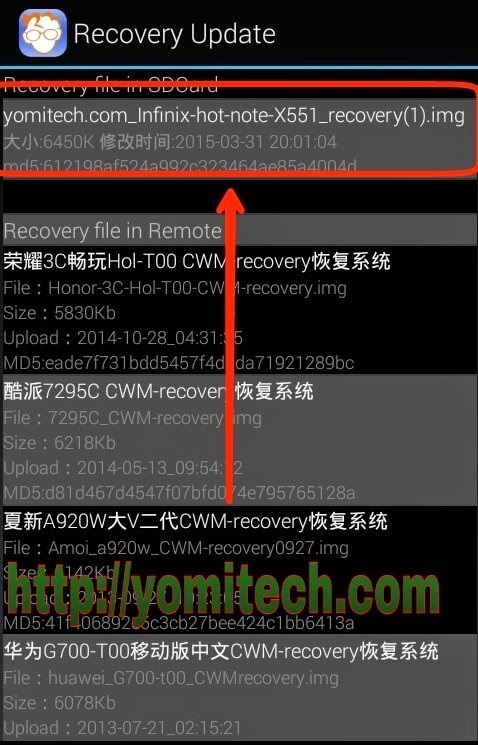 When talking about custom recoveries, the most common are cwm and twrp recovery. Today i will be providing link to the twrp and cwm recovery for the infinix hote note pro and also procedure on how to install it. For those using any other mtk device aside infinix hot note pro, you can check out this link on how to install cwm on all mediatek devices. And for those using other chipset aside from mediatek you can follow this procedure instead. Note that the cwm and twrp I will be providing are specially for infinix hot note pro only. ==> Your rooted infinix hot note pro. Incase your phone is not rooted, check out this Link. 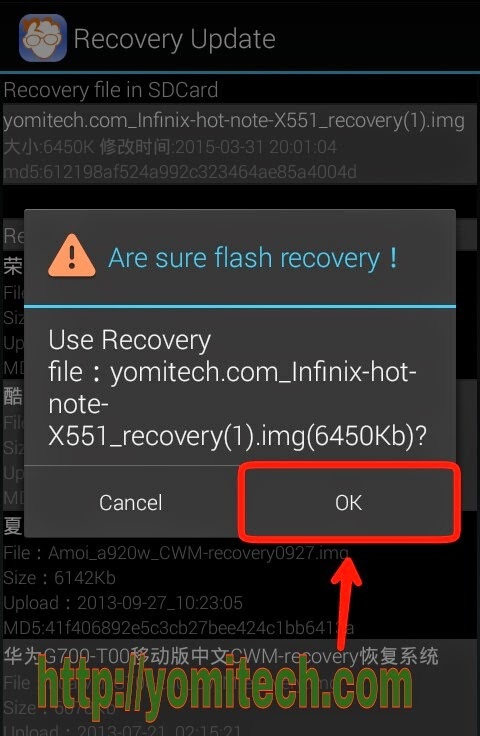 ==> Infinix hot Note Pro cwm recovery. Download here. Or twrp recovery . download here. ==> Mobile uncle. Download here. ==> Download and install mobile uncle from the link above. 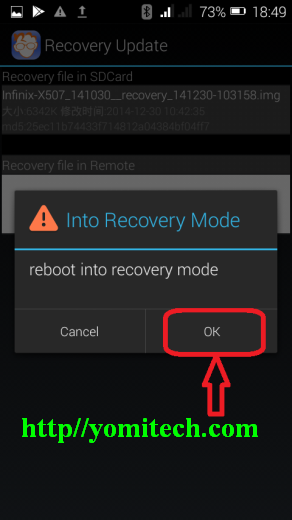 ==> download cwm or twrp recovery and copy to the root of your SD card. ==> launch the mobile uncle and select recovery update. ==> choose the recovery you copied. ==> select OK in the next popup. ==> After the installation you will be prompted to boot into recovery. Just click ok to test. ==> That’s it. You have just successfully installed custom recovery to your device. 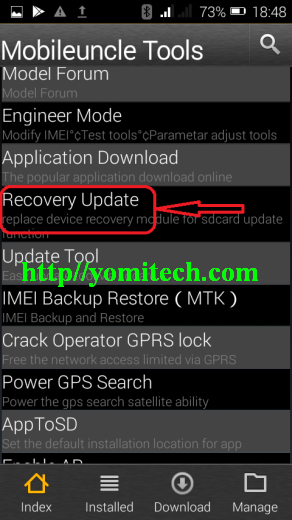 Note: If you for any reason want to revert back to your stock recover, then download the stock recovery from this link and follow the same procedure above. If you encountered any problem while installing the custom recovery, drop your complaint in the comment box. Twrp is installed on my hote note (indonesia version) but i cant flash rom, its said "installation aborted"
Yes i mean cwm not twrp but if i flashing rom from there it said "installation sborted"
Im also try twrp but the same cant flash rom, so we can only flash rom via sp tool?